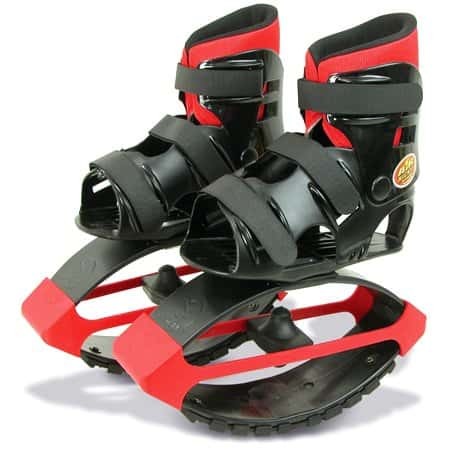 Creative shoe designers are always coming up with cool, new, attention grabbing designs. 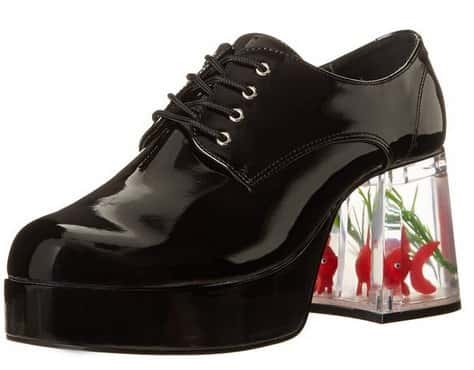 Here are some Interesting Creative Shoes that could never go unnoticed! 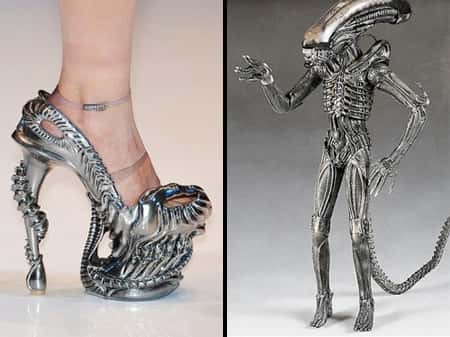 ^ These Alien heels by Alexander McQueen were a one off production based on the movie - Alien. Photo: Wicked Halo. 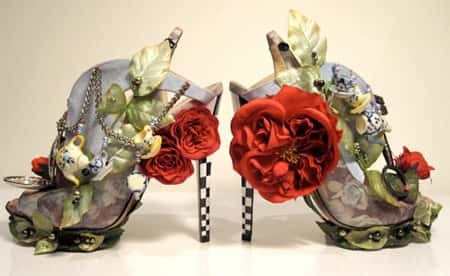 ^ These unique 'meat shoes' were worn by Lady Gaga at the MTV video awards. via. ^ Funtasma Men's Pimp Slip-On Loafer costume shoes. A cool Halloween idea, they look as if there is a goldfish living inside the heel. It's a fake goldfish though, so no fish have been harmed! 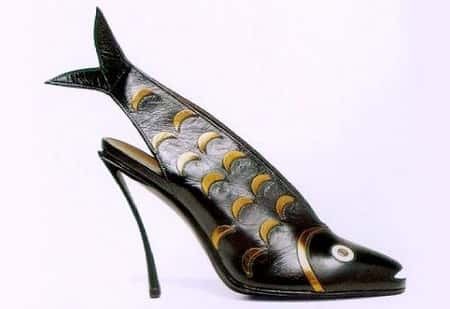 ^ Another pair of fish inspired shoes. These ones were designed by a French designer named Andre Perugia. ^ Alice Shoes by Nicholas Kirkwood. ^ Air Kicks Anti-Gravity Running Boots, available HERE. ^ Banana Shoes by Kobi Levi. ^ Shimmering Gold Tips Heels with Dice Shaped 7 Inch Heels and Tip Jar Platform Available HERE. ^ 6 Inch Wedge Platform Exotic Womens Shoes Rhinestones Spiked Heel Available HERE.